Biff Chaplow and Trystan Reese are already adoptive parents to two young children , have spoken of their delight as they prepare to welcome their first biological child. 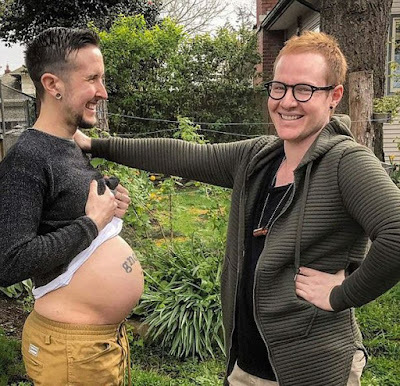 n a post on their website, Trystan said that he felt some people are interested to know why he wanted to become pregnant as a transgender person, but were too afraid to ask. “I can feel someone looking at my face and searching for the remnants of womanhood,” Trystan told the podcast.